We insure our cars, our homes and our furniture. So why do so few people protect their most important asset of all — their ability to earn an income? Research shows most Australian families are underinsured, putting their financial security at risk. The good news is that taking out extra insurance through your super fund is both easy and affordable, allowing you to protect your financial future for less. Many super funds automatically offer members life insurance, payable on death and Total and Permanent Disablement (TPD) insurance, payable following diagnosis of a terminal illness or catastrophic injury. As you look ahead to retirement, you’re probably starting to squirrel away a little extra in savings, so you’ll have more to enjoy when you finally stop work. You’re at the peak of your earning potential, so now’s the time to really get serious about your superannuation. But what would happen to your retirement plans if you were suddenly unable to work? While we like to think that it can’t happen to us, the statistics around serious illness and injury are sobering. For example, one in two Australian men and one in three women will be diagnosed with cancer by the age of 85, while two out of every three families are affected by cardiovascular disease. Every week, accidents claim over 100 lives and cause many more serious injuries. While many people survive serious illnesses and injuries these days, recovering can require extensive recuperation and time off work — and the consequences can be severe. Aside from the immediate stress of managing day-to-day expenses, an extended period off work can play havoc with your retirement savings. At a time when you may have planned to put as much extra towards your super as you can, you may find yourself drawing on the capital you’ve worked so hard to build. You may also discover that it’s harder to find employment when you’re ready to return to work, forcing you to take an earlier-than-intended retirement. In fact, according to the Australian Bureau of Statistics, around 39% of Australians over 45 who retire early do so due to ill health and injury. Income protection insurance is one way you can protect your lifestyle and retirement savings from a sudden loss of income. It pays a regular benefit to help replace your salary, so you can keep up with your living expenses while continuing to save for your retirement. Depending on your policy, it may pay up to 75% of your regular income up to age 65 — although some policies offer more. Premiums are generally tax deductible, helping to make them more affordable. Some policies may even boost the amount they pay to help ensure your super keeps growing for the time you’re out of work. If you’re in an employer-sponsored super fund, you may be able to access affordable insurance cover as part of your super plan. One advantage of getting insurance through your super is that it can be very cost-effective. 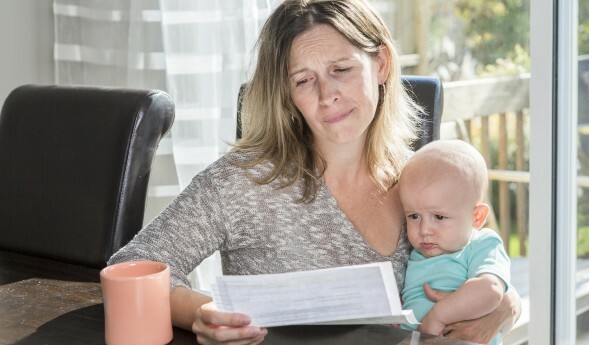 This is because your plan may receive a bulk discount, and premiums are deducted from your account, not paid for with after-tax income, potentially giving you a tax saving. If you already have insurance cover in place, it’s worth taking a closer look to make sure it suits your needs, and that you’re getting good value for money. As your obligations and costs of living reduce — for example, when your children finish school or leave home, or you pay off your mortgage — you should review the amount of cover you need, remembering to keep enough cover to protect your retirement plans. On the other hand, if you took out insurance when you were young, you should also check that your cover hasn’t been eaten away by inflation. Some policies automatically increase the benefit value in line with the Consumer Price Index each year — if yours hasn’t, considered topping it up. Retirement and Retirement Intentions Australia, Australian Bureau of Statistics, June 2009.